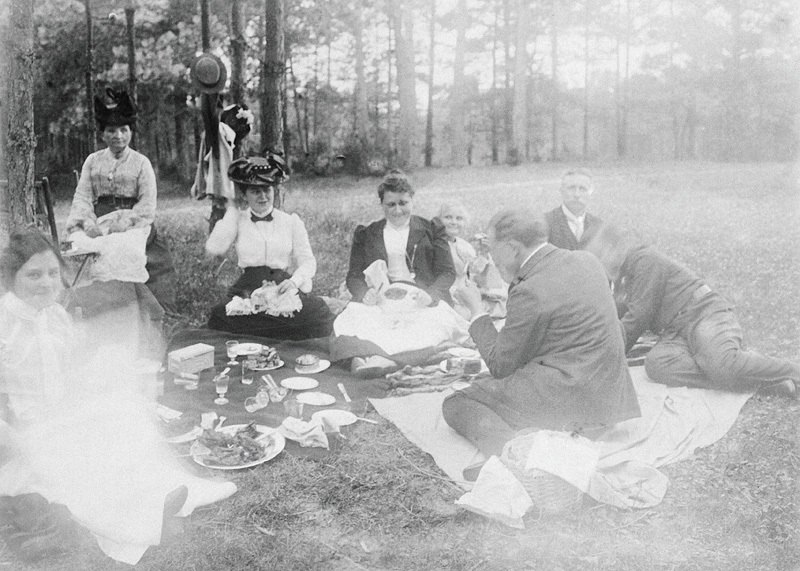 Above: May picnic in Krzesk, Zygmunt Ścibor-Marchocki’s estate, approx. 1903. Members of the Tyzenhauz and Ścibor-Marchocki families. Social life was an element of the landowning culture. From an early age every child spent time in a large group of people, learning good manners and the art of conversation. The landed gentry regularly met with residents from the neighbouring manors and invited the local intelligentsia, officials, officers from the local military units, and members of the clergy. During meetings, the people talked about agricultural issues, exchanged news from the world of politics, played cards (particularly bridge) or the piano, rode on horseback, did sports, strolled in the park, and organised picnics in summer. During carnival the landed gentry organised balls or evening dance parties. Holidays and any family occasions, such as weddings, baptisms, and funerals were especially celebrated. Likewise, Christmas and Easter were celebrated in style and in large groups of people. Great importance was attached to food and meals, which were celebrated like rituals—they lasted for hours and consisted of many courses. Many manor owners kept guest books, where their guests could praise their hospitality and the atmosphere in their residence. Hunting was the favourite pastime of the men, mainly because they had private hunting grounds. In line with the centuries-old hunting tradition, every man had to know the hunting rules and how to use firearms. Hunting stories were an indispensible element of all social meetings.